As a land trust that was initiated by the City of Sheridan and Sheridan County, we are a community based organization that is focused on shaping the future of Sheridan County for the better. We seek to provide events and programs for kids and families in the County that connect people with the outdoors and cultivate the next generation of conservation leaders. SCLT partners with Science Kids Sheridan to offer a Young Explorer Series every summer. The three single-day outings are geared toward kids ages 9 to 11 and get kids outside to discover the amazing wildlife, ranching traditions, history, recreation, and more that makes Sheridan County unique. Click here to go to the Science Kids website to learn more and sign your child up. 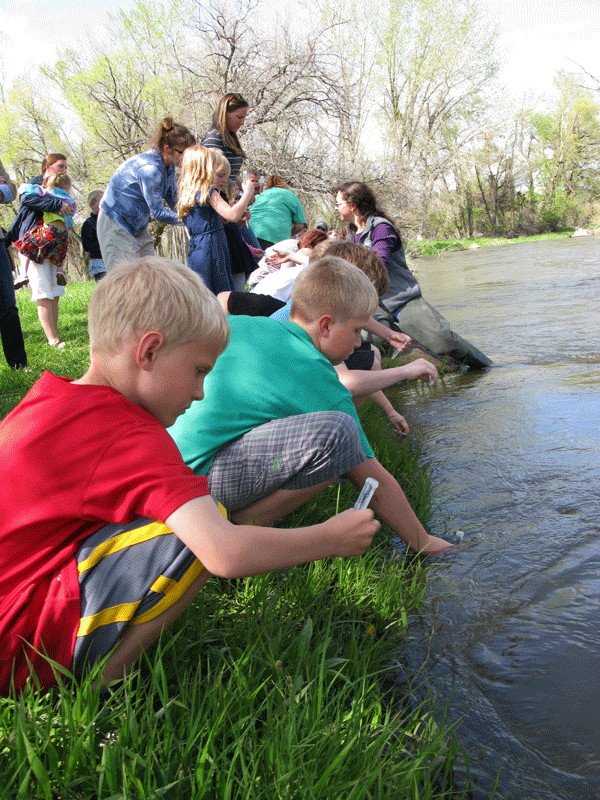 UNPLUG is a collaboration between Sheridan Community Land Trust, Science Kids, local foundations, businesses, and organizations that are designed to get kids and their families to unplug from technology and spend time outside together. We offer outings and events for all types of interests from art to biking to birding. We are always looking for new partnerships and sponsors. Visit our calendar for up to date information about this year’s UNPLUG events. Learn Outdoors is a collaborative project with the YMCA and Sheridan Community School District 2. Fall 2018 local 5th graders will learn science directly from the field in our pilot year of the Learn Outdoors. Curriculum is being developed by local teachers to ensure the project is integrated into the 5th grader’s in-classroom learning.